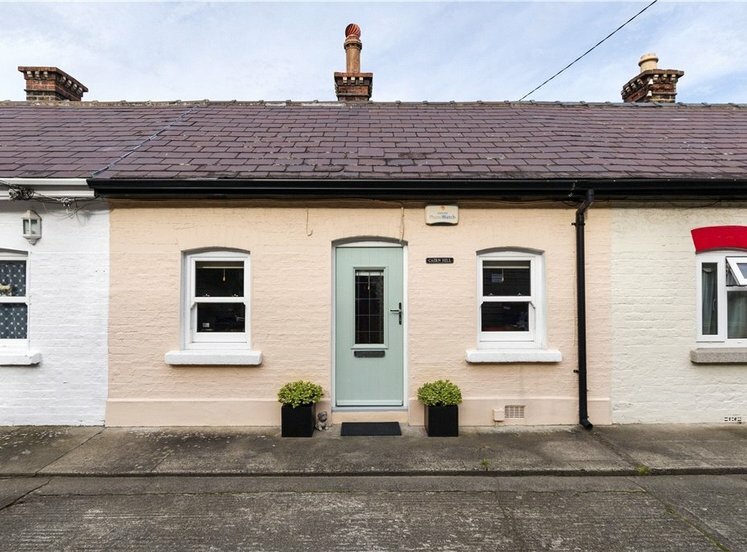 Attractive period property with accommodation of approximately 101 sqm (1,130 sqft). 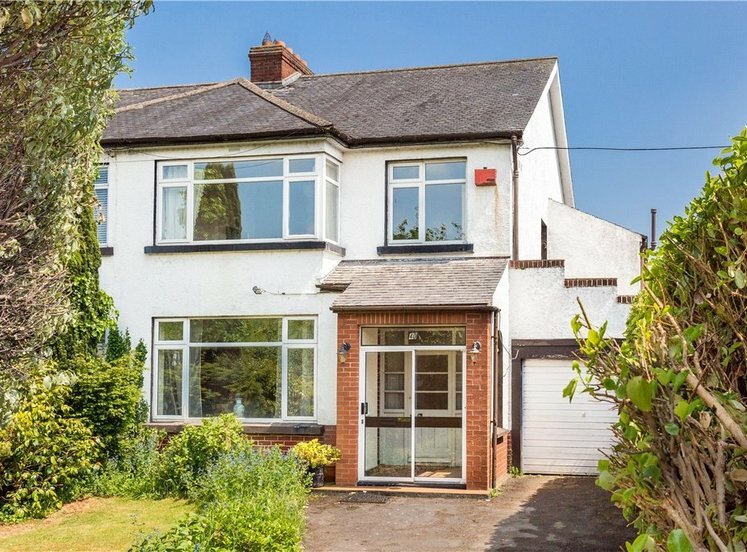 Much sought after location, minutes from the heart of Terenure Village and an easy commute from Dublin City Centre, being only 6km away. 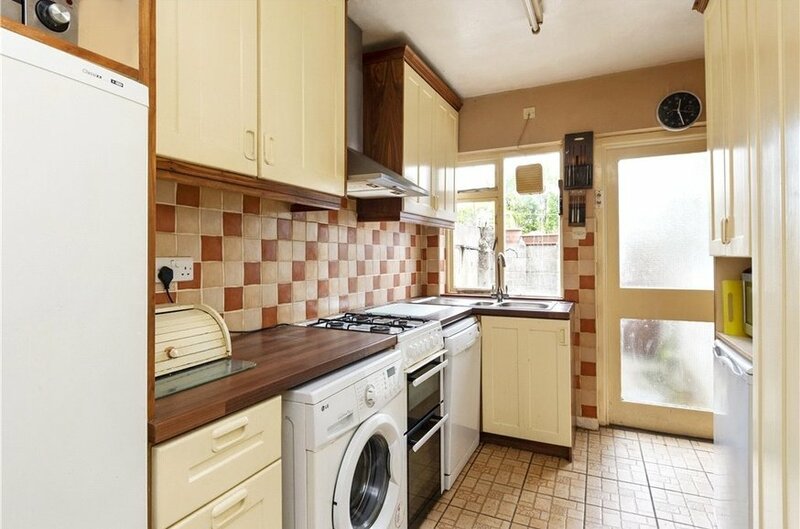 Fitted carpets, curtains and kitchen appliances included. Many period features have been retained including mahogany fireplaces and high ceilings throughout. Pedestrian rear access onto a private lane accessed from Kimmage Road Lower. Inner courtyard and rear patio garden. 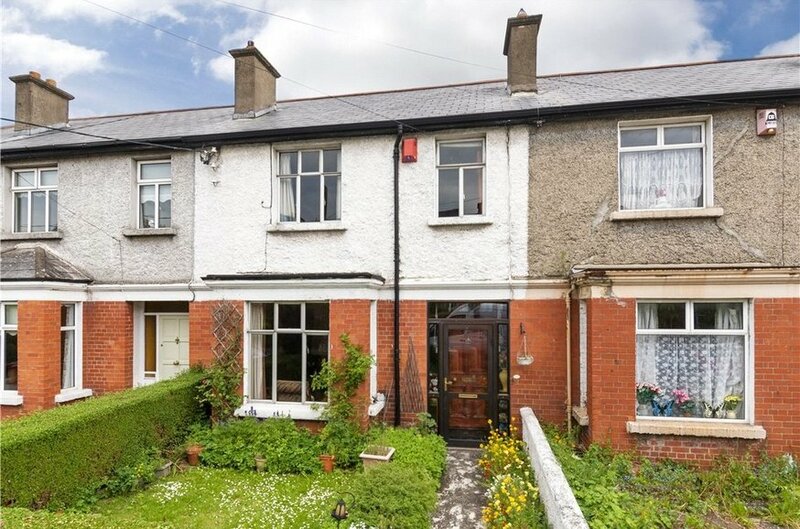 A delightful mid terrace part red brick period property tucked away in this highly desirable and established cul-de-sac location minutes from Terenure Village. The spacious accommodation of approximately 105 sq.m. (1130 sq.ft.) 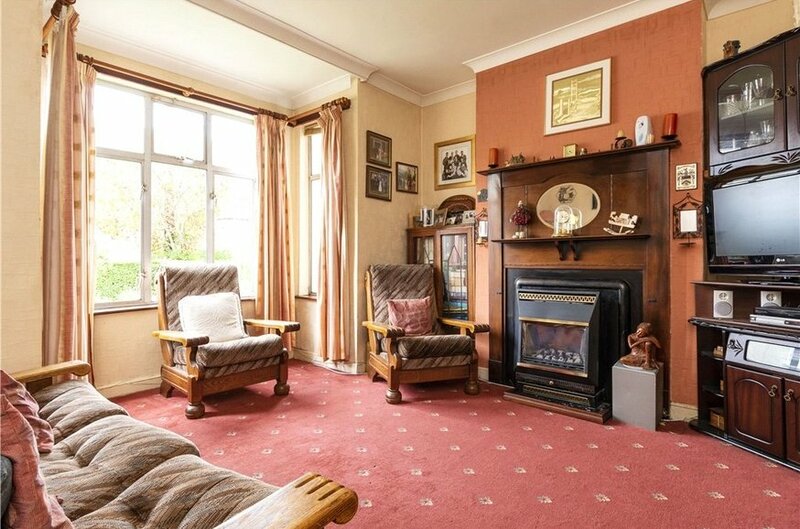 on offer, including many original features, is laid out over two floors briefly comprising of an entrance hall, lounge with original mahogany fireplace and bay window to the front. 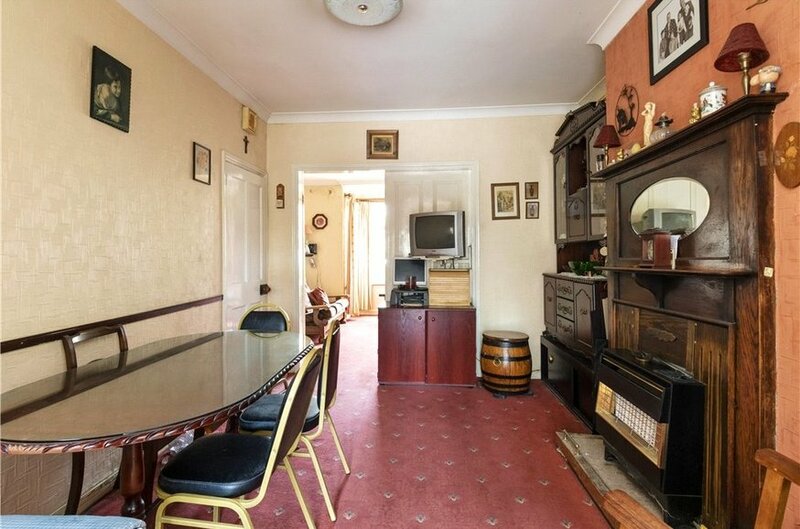 Double doors interconnect this room with the dining room and kitchen which has access to the rear patio area with pedestrian gate leading onto a private lane. 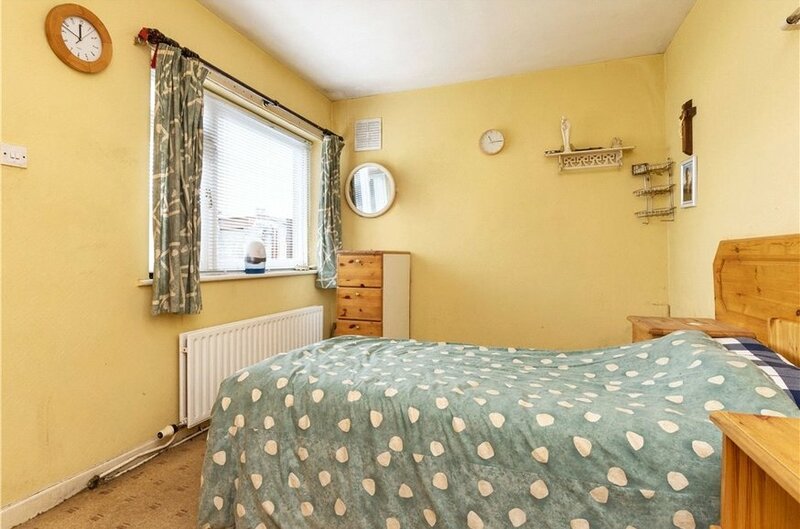 There is the added benefit of a bedroom with ensuite shower room and a study/office completing the downstairs accommodation together with an inner courtyard which is accessed from the kitchen. 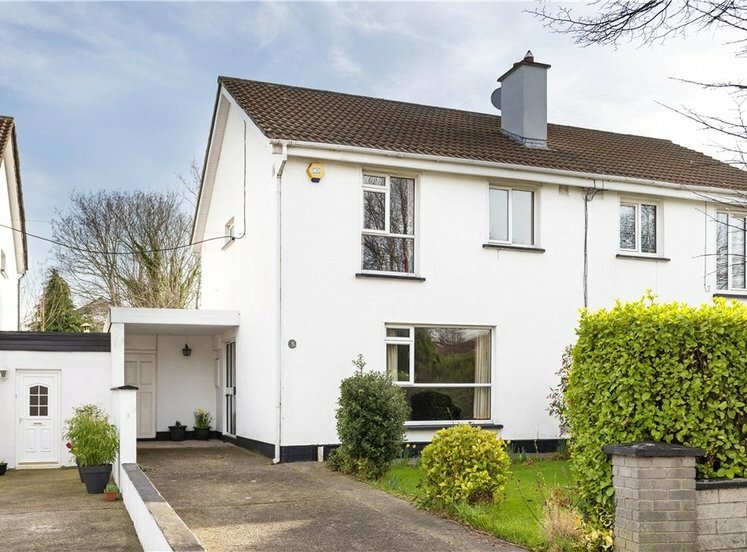 Upstairs there are three further bedrooms, a family bathroom and separate w.c. Whilst the property has been well maintained over the years, it now requires some modernisation and offers the opportunity to the prospective purchaser to renovate and design a home to their own taste and flair. 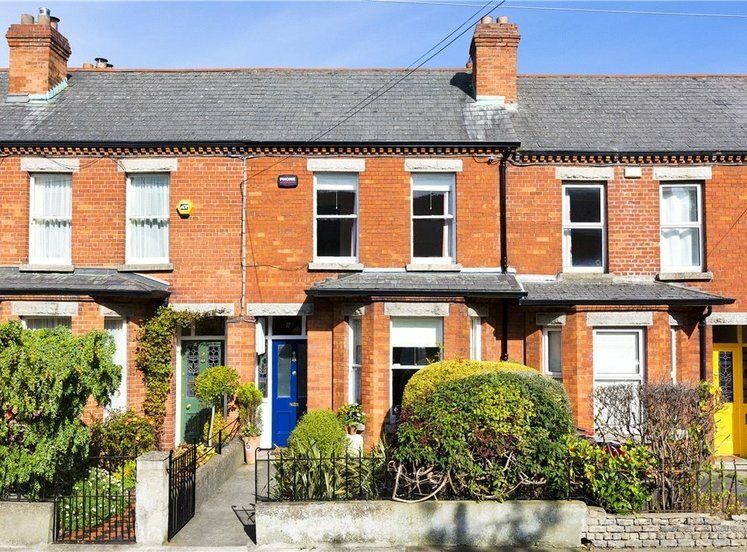 Terenure is a mainly residential suburb located just 6km from St Stephen’s Green. The area is extremely well serviced by regular bus routes to and from the city centre, namely the 15, 15a, 17, 49, 54A, and 65. 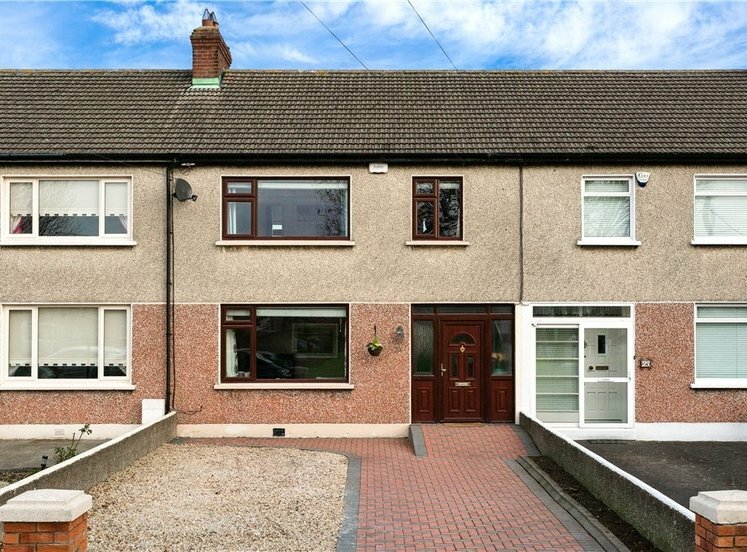 The M50 is within close proximity offering access to the arterial road network and Dublin Airport. There is a wealth of amenities available within the vicinity including many excellent restaurants and cafes, such as Mayfield, Bellagio and JDs Steakhouse, along with local boutique shops and newsagents. 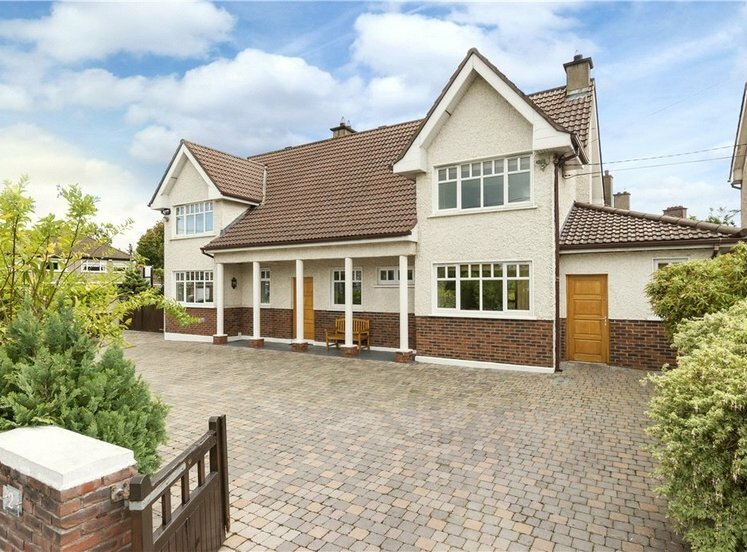 The area also benefits from the extensive shopping facilities nearby at Nutgrove, Rathfarnham and Dundrum Shopping Centre. 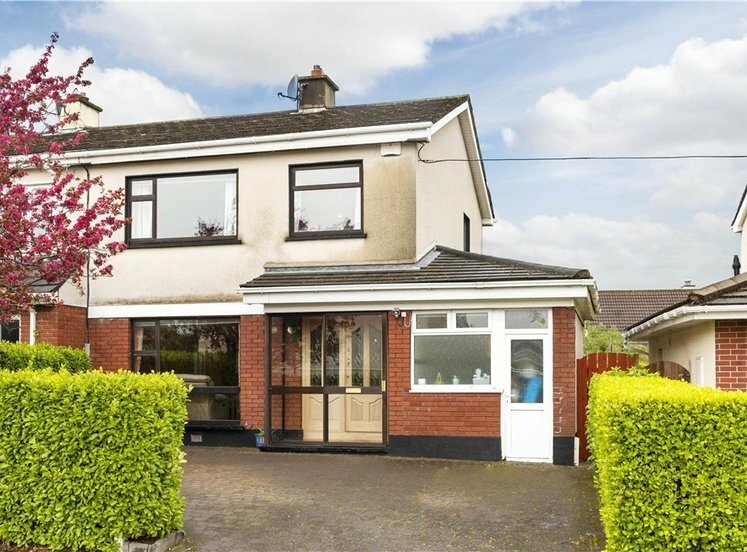 There are a wide choice of sporting and recreational amenities in the immediate area including Terenure and St Mary’s rugby clubs, the tennis clubs at Rathgar and Templeogue and a choice of golf clubs to include The Grange and The Castle. Numerous activities are also available at the superb parkland at Bushy Park. 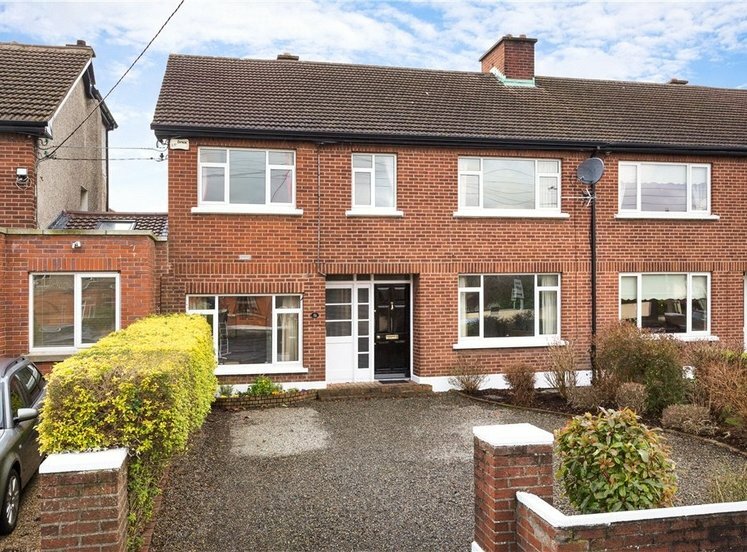 This prime location is within easy reach of a number of primary and secondary schools including Terenure College, Our Lady’s Templeogue Road, Presentation Convent and The High School in Rathgar to mention a few. with built-in storage and mahogany surround fireplace with marble hearth. with fitted cupboards and units, plumbed for washing machine and dishwasher and provision for electric cooker with extractor fan over. with w.c., w.h.b., step in Mira shower, tiled ceramic floor and partially tiled walls. with w.h.b. and understairs storage. with fireplace with cast iron mantle and surround and gas insert. with w.h.b., bath with Mira Event shower over, tiled ceramic floor and partially tiled walls. 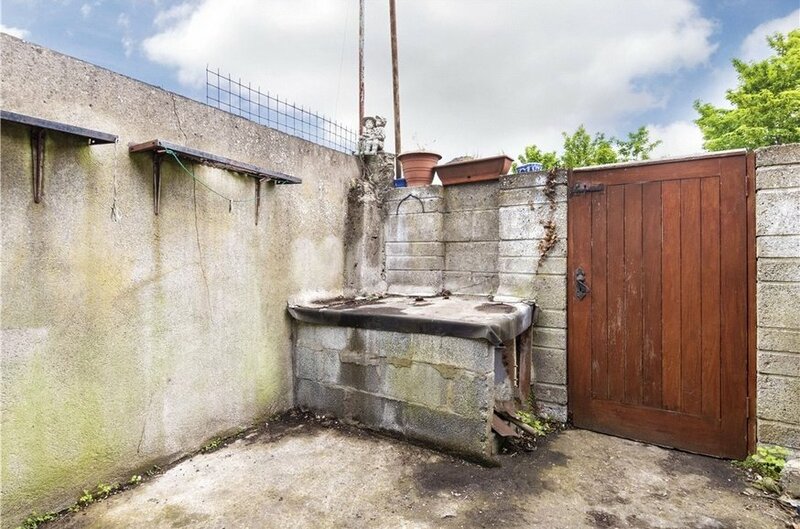 A private patio garden is accessed from a pedestrian rear access onto a private lane accessed from Kimmage Road Lower.